The aesthetic range of Tan Brown Granite we offer is sourced from reliable manufacturers. These granites have high tensile strength, accurate composition and hardness. Ideal for drawing rooms and other interior areas, these are provided in various finishes. Leveraging on the expertise of our skilled workforce, we have come up with a broad range of Antique Brown Granite. Clients can avail this product from us at reasonable prices. Backed by opulent industry proficiency and acquaintance, we are providing a varied series of Cheery Brown Granite to the customers. All these products are extensively used in residential and commercial buildings. 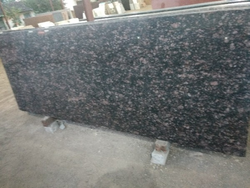 Tan Brown Granite rank very high amongst the popular Indian Granites. Tan Brown Granite Tiles & Slabs are praised worldwide for it's unmatched beauty and weather Resistance. We are leading Indian suppliers of Tan Brown Granites. The Granite is mined from Southern India. Shree Ram Mega Structure Pvt. 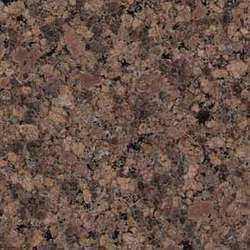 Ltd.
We offer a wide range of coffee brown granite that is dark brown in color. These coffee brown granite are used for decorating paths and walls and are offered at industry leading rates.